MaMa has been having so much fun experimenting with the Lahey No-Knead Bread Making Method, she's been trying all sorts of variations on the loaf she originally posted about. 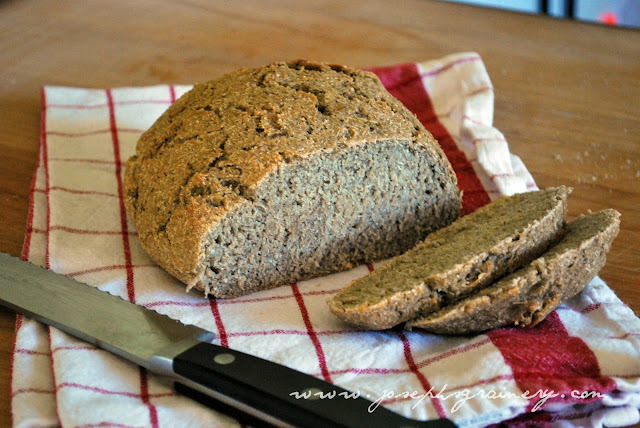 This Barley Bread is a fun twist. MaMa says that she'll never need to buy a loaf of bread again, with as easy as making bread is with this method. I think she might be serious too...we haven't had any store bought bread since she started playing around with this method.